For psychiatrists treating adolescents who smoke marijuana, a new study provides convincing data that may counter arguments by these youth that pot is a harmless indulgence. "Persistent and dependent use of marijuana before age 18" contributes to memory and attention difficulties and a decline in IQ scores when these youngsters become adults, reported researchers at Duke University's Center for Child and Family Policy and departments of psychiatry and psychology online in the Proceedings of the National Academy of Sciences. They followed more than 1,000 New Zealanders from birth to age 38, and began IQ testing at age 13. At age 38, several psychological tests were also administered. They found that when marijuana use was begun during adolescence and continued for years afterward, IQ scores declined by an average of 8 points between ages 13 and 38. When marijuana use was begun during adulthood, no similar cognitive sequelae were found. These data also highlight the still-developing nature of adolescents' brains. Lead researcher Madeline Meier, Ph.D., pointed out that "While 8 IQ points may not sound like a lot...a loss of IQ from 100 to 92 represents a drop from being in the 50th percentile to being in the 29th," adding that "Somebody who loses 8 IQ points as an adolescent may be disadvantaged compared with their same-age peers for years to come." 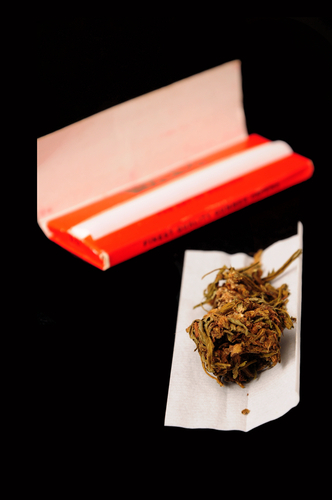 To read more about marijuana use among adolescents, see Psychiatric News here and here. Also see the American Journal of Psychiatry.